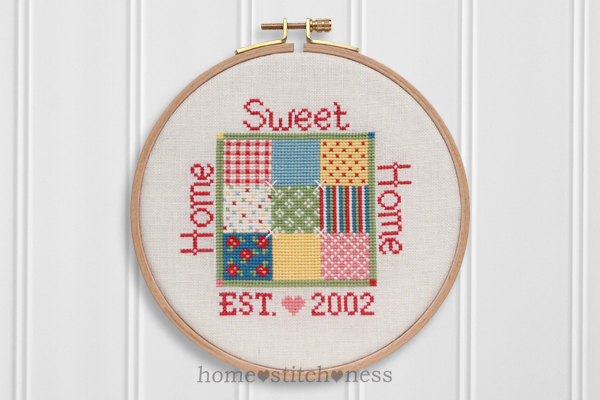 homestitchness: The 2014 New Releases Are Here! The 2014 New Releases Are Here! Today is the 31st of January in New Zealand and I am so happy to finally be able to show you the three new home♥stitch♥ness designs that I've been working on over the past several months! Currently they are available exclusively through the home♥stitch♥ness Etsy shop. If you can't pick a favourite and would like to stitch more than one design, I have included a couple of pattern bundle listings so that you can purchase two or three charts at discounted prices. Together these three designs make up 'The Home Collection' and look lovely on display by themselves, in a pair or as a trio. I thought I would share with you below the inspiration behind them all. As you will have noticed by my original releases, I love cottages - especially the classic New Zealand Villa - but I'm also very interested in interior design and the pretty things we surround ourselves with, that make a house a HOME. I love hydrangeas so much and miss the huge blooms that flourish in New Zealand's climate. Where we live in the USA, the cold winters prevent hydrangeas from growing very big. The white hydrangeas are by far the most suitable for our zone... however the blue flowers are my favourite! I love the look of cut hydrangeas in a vase and this design was inspired by the iconic New Zealand Crown Lynn Swan - I admire the simple elegance those vases bring to a room. 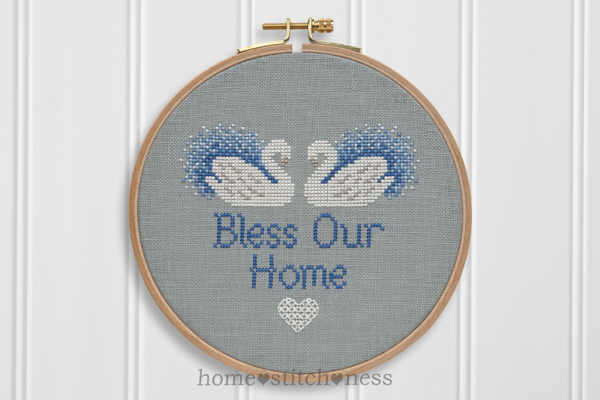 I chose the phrase 'Bless Our Home' to accompany the design as the phrase has such a peaceful sound to it and I often pray those three little words over our family home. To me, quilts are all about feeling comfortable and cosy at home and appreciating the love that is poured into creating something special for your family. I felt the phrase 'Home Sweet Home' was perfect for this design and I personalised it by adding 'EST. ♥ 2002' as that is the year my husband and I got married. If you don't have a particular date in mind to personalise the design with, you could always put your initials and the year you stitched the design, which is very traditional. This pretty little tea party scene was inspired by my eclectic collection of china and such. We all want to create a warm and inviting home to welcome friends and family alike and what better way to do so than with tea and refreshments! The tea cup and saucer is inspired by the distinctive tulip shape of the Crown Lynn Colour Glaze collection and the little jug is very reminiscent of Cornish Ware. 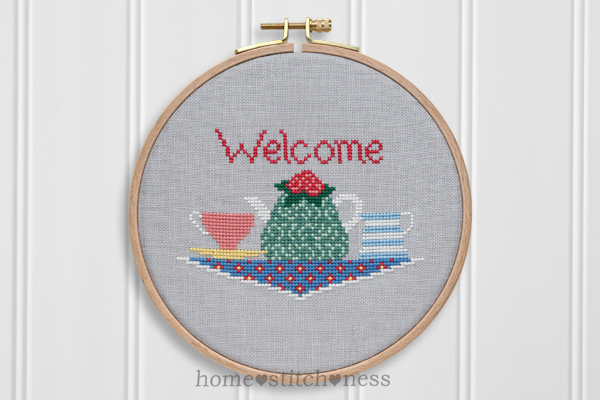 I love tea cosies and again - I am wanting to make one just like this one, with crocheted roses on top - but for now I have stitched it instead :o) I felt the word 'Welcome' perfectly summed up this design that I imagine will look lovely on display in kitchens everywhere. Thank you! I just popped over to your blog as well - very inspiring! Ah love them- my favourite would be the Welcome teapot.